Born out of our commitment to the local community, we own and operate the All Are Friends Montessori Preschool. The preschool was established in 1997 and currently enrolls approximately 50 students. The Montessori program is founded on the love of children and their individual personalities and needs. The philosophy encourages the development of values such as independence, self-discipline, respect, maintaining order and peace in social situations. This philosophy further extrapolates into the creation of adults contributing to a better society similar to the Christian philosophy. 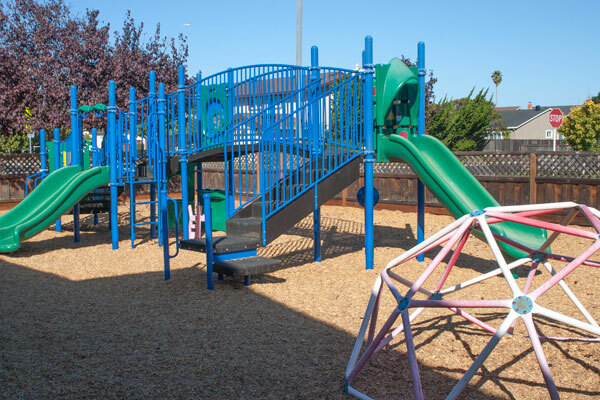 The preschool serves a community of families from many countries and is truly distinguished and highly regarded in the Bay Area community. All Are Friends is one of the selected Bay Area preschools that was featured on the tour of the national meeting of the American Montessori Society (AMS) in San Francisco, March, 2012.